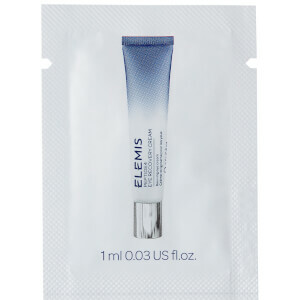 Intensely hydrate skin whilst you sleep with the BIOTEC Skin Energising Night Cream from Elemis. Specially formulated with an energising trio of acids, including Succinic, Lactic and Ferulic to deeply nourish skin, revealing a smoother, replenished complexion. Powered by the brand's Bio-Energy™ Complex of encapsulated Zinc and Copper, the lightweight moisturizer increases cell energy, whilst Calcium PCA and Sunflower help to minimise the appearance of fine lines and wrinkles. You can expect a youthful, visibly smoother complexion come morning. Massage 2 pumps into the skin every evening to activate. If contact with eyes occurs, rinse thoroughly. ENERGIZER: Aqua/Water/Eau, Glycerin, Propylene Glycol, Phenoxyethanol, Stearyl Palmitate, Carbomer, Hydrolyzed Xanthomonas Campestris Polysaccharide, Polysorbate 20, Chlorphenesin, Fragrance (Parfum), Hydrated Silica, Disodium EDTA, Zinc, Sodium Hydroxide, Sodium Dehydroacetate, Copper PCA, Pogostemon Cablin (Patchouli) Leaf Oil, Lauryl Laurate, Hydrolyzed Corn Starch, Canarium Luzonicum Leaf Extract, Myristica Fragrans (Nutmeg) Kernel Oil, Boswellia Carterii (Frankincense) Oil, Coriandrum Sativum (Coriander) Fruit Oil, Litsea Cubeba Fruit Oil, Amber Extract, CI 77400 (Copper Powder). CREAM: Aqua/Water/Eau, Prunus Amygdalus Dulcis (Sweet Almond) Oil, Ethylhexyl Palmitate, Lauryl Laurate, Isononyl Isononanoate, Butyrospermum Parkii (Shea) Butter, Simmondsia Chinensis (Jojoba) Seed Oil, PEG-100 Stearate, Glyceryl Stearate, Caprylic/Capric Triglyceride, Glyceryl Stearate SE, Propylene Glycol Dicaprylate/Dicaprate, Polysorbate 60, Cetyl Alcohol, Phenoxyethanol, Phospholipids, Carbomer, Fragrance (Parfum), Chlorphenesin, Stearic Acid, Calcium PCA, Sodium Hydroxide, Maris Sal/Sea Salt/Sel Marin, Succinic Acid, Disodium EDTA, Lactic Acid, Glycerin, Palmitic Acid, Propanediol, Sodium Dehydroacetate, Magnesium Aspartate, Zinc Gluconate, Sodium Anisate, Hordeum Vulgare (Barley) Seed Extract/Extrait de Semence d'Orge, Phenethyl Alcohol, Sodium Levulinate, Potassium Sorbate, Pogostemon Cablin (Patchouli) Leaf Oil, Copper Gluconate, Boswellia Carterii (Frankincense) Oil, Litsea Cubeba Fruit Oil, Myristica Fragrans (Nutmeg) Kernel Oil, Coriandrum Sativum (Coriander) Fruit Oil, Canarium Luzonicum Leaf Extract, Helianthus Annuus (Sunflower) Seed Oil, Tocopherol, Limonene, Linalool, Coumarin, Rhizobian Gum, Sodium Hyaluronate, Amber Extract, Tocopheryl Acetate (Vitamin E), Citric Acid.